Road is slated to open fully on July 20, although many trails remained closed. The opening feels bittersweet. On one hand, local businesses need the money and people who live in Big Sur area especially need full access to their homes again. But it's been so nice to have an empty coastline. Some days have been so desolate you just hope someone comes along to talk with. I imagine it's going to be packed as hell for the rest of the summer. I'm stoked. I like the drive on the way up north instead of hwy 101 and occasional day trip, and Leaveright will leave some thoughts and anecdotes at 9:30, 9:31, 9:33, 10:01, 10:23 and 10:47 tonight. Is the pool still swimable? Always wanted to walk down there and chill on a sunny offshore day. I think its been empty for a good while now. Take a look on Google Earth. That has to be one of the most desirable pieces of property on the whole California coast. He take care of the whole property or just manage the land resources? I don't even know who owns it these days. Would have to look up the APN. Was just downriver from the gorge last Sunday, had it to ourselves from 10 to 2. Rad day. He took care of the whole property. The Pauling family (Linus Pauling) still owns it. Linus passed, I believe his wife and kids are the primaries. DZ actually lived on the property before the slide. I think he's been living lately with his GF in PV. He drives the Pacific Valley school bus!!! "Vitamin C's". Linus Pauling was the chemist who actually first processed, developed Vitamin C.
Good it's still in the family. Yah I know the story well. Too bad the way Linus went out. Dude lived quite a life though. How funny your buddy drives the school bus. Lol. The Pacific Valley school is such a trip. Something like 75 students from kindergarden through High School. DZ drives as far north as Big Sur Village and before the slide down to Ragged Point. The school has its own cafeteria and organic garden. They actually just got internets with a donated sattelite dish about 2 years ago. If I was a kid, this is where I would like to go to school. The Jade Fest coming up in October. Held on the school grounds. If you're in the area, a good time to stop and check it out. So many characters, good food and music. We saw Carlos Santana walking around two years ago at the last one before the roads closed down. Cool man. I will check it out if I can. A local guy from Cambria runs it I think? PV such a trippy history. It's an interesting place to grow up for sure. We will be down that week. Seven days at Kirk Creek. Willow every day. Willow is the hub. All of the old rock hounds will crawl out of the bushes. It just makes it more interesting. Good food at the fest though, for us campers. The indian booth. Chicken Tika Masala. The soapstone pipes aren�t too shabby. The Jade Fest! Big Sur. You never know. A whole bunch of years back I showed up late one afternoon at Willow. The old rockhound guys were down there. $10 and a bud of the crip and I had the most bitchin pipe I have seen to this date. Little things. Like going to Gorda and buying a gallon jug of red wine. Do a favor, get a favor. As time goes on you end up better than when you began. We all drive down to Big Sur and through when the road is open. But it truly is a place that is off the modern grid. Lucia, Gorda, all the places in between like Pacific Valley are still off of the power grid. No electricity except for solar or generators. A moment in time that is rapidly disappearing. My dad remembers going to the official Big Sur HWY 1 ceremony opening back in the 1930's. One of my grandfathers friends was a steam shovel operator. 1930's? Damn that was a long time past. The cool thing is probably didn't look much different than it does now, sans 1000 rock slides since then of course. Did you ever meet the homeless guy who lived up Willow Creek that would smash beer cans on his forehead for food and booze? Such a trip. I'm sure he's long gone by now as he looked like a very rough 50yrs old and that was 20+ years ago. But always wondered how the hell he survived during big storms. Hiked up to his camp one time and it was literally right next to the creek. Never forgot him. He seemed happy but living up there had clearly taken a serious toll on him. I remember scoring sick whale shaped ones for a couple bong hits and a king cobra from the Gorda store. Best taste ever from those pipes. It helped that we had access to the earliest offerings of M10. Willow Creek is a magnet for a lot of those trying to get off off of the radar. So many characters over the years. "Big Red" was a classic one in years past. He would pop up out of the brush with twigs in his beard and tell you if he didn't smoke weed he was prone to violent tendencies. Good surf, so many weird people. So many good people. Why we keep going back year after year. There is a presence/vibe there. Call me whatever, but if you are in tune with it, you can't let it go. For the good or the bad. I've not ran into any of the willow homeless crew in years and I'm wondering if 'progress' finally ate them up? I agree, there is definitely a vibe in the area and presence that you just feel. Hard to explain. Spent so many days at Willow just watching time go by, staring at the sky, and chasing gold in the sand and up the creek. Did you know that Willow Creek is actually the oldest place where gold was discovered in California? This was back in the Spanish days, pre 1849, Sutters Mill. The Jolon mining district. Willow Creek canyon, over 350 mining claims filed. You go up Los Burros Rd. past Treebones to the top about 3 miles up. The road branches up there. One road down to Cape San Martin Lookout. Right above the current Mud Creek southern slide. A second road to Manchester. The forest service sign is still there. Manchester was a town back in the late 1800's. 3 dancehalls, a barbershop, a foundry. a post office. 400 people lived there. Up in the fly zone if you know what I mean. A true ghost town. All burned down theses days, nothing left. Willow Creek used to be a port to send big mining gear ashore. Back in the 50's. And a couple of my bros still are on the program, You could file a mining claim with the county courthouse. 10 acres. access to all of the minerals, trees, water on the property. Permission to build a main building and two out buildings. Annual cost? $15 a year. In perpetuity. Just do not let it lapse. The whole place since has been turned into National Forest. But there still are these pockets of the mining claims left. With the roads closed, a whole different vibe. You are from down Cambria way, remember Brother Frog??? He was a fixture at Willow for years. Those water color T shirts, He cased the parking lot daily. Eventually a doob, sandwich or a couple of beers. Her used to be a fixture at Willow back in the day. Those $10 oil change water based T shirts..
Actually saw a TV show that focused on the guy. One of the original "Merry Pranksters" Greatful Dead. He was interviewed. Yes, that dude is a classic. Is he still kicking? Will have to call a friend and find out. I have wondered how many more acres Hearst would have bought up back in the day if he didn't run into the fort and Los Padres forest wasn't yet named a national forest. Imagine that dude probably could have bought everything from San Simeon to Carmel. He knew what a gem the area is. Have not seen him in a long time. Think he comes out of Pismo. A true Big Sur classic. I started surfing down there with my brother in the late 70's. Right after we got our drivers licences. Red Snapper on the Monterey wharf. Gilberts Seafood Grill on the Santa Cruz wharf, formerly Malios. I lived in Aptos. My whole deal was to hit the SC wharf after closing, pick up the dailes, payroll and then drive down to our office at the DoubleTree hotel in Monterey. Late nights, The plus during the winter was surfing Moss daily on the way down to Monterey. Friday afternoon to surf all weekend. Did this for 8 years. Met a whole lot of good people to this date. A whole lot of good times. That was then. Won't happen again anytime soon. Good on your friend and everyone else. Long time to be even a little out of business. Last year was probably the best year down there that I can remember. A week with both the north side and the south side of 101 blocked. Only access was over Nacamiento road through Fort Hunter Ligget. Absolutely quiet at night. No cars, no headlights. No chinese tourists. Douchebags, clueless douchebags, Trump might actually have something right putting a clamp on them. Was Brother Frog in Willow before or after his time at the Rock? I grew up on the central coast and Brother Frog was a fixture at the Rock until I moved south when I was in my 20s. I still go up there once a year to visit my parents but rarely surf or hang out long enough to see if any of the old characters are still around. "Bro Fro" is still a daily fixture at the Rock. Still making/painting rad t-shirts. Good to hear... Is his van still running? I heard a while back he was going to try to buy a boat in the harbor with his social security but not sure if it ever came to fruition. He has a new van, and I believe he's living on a boat in the harbor, whether he bought it or rents I don't know. My kid bought me a bro fro shirt for my birthday this year, stocked! Anyone remember Jade Bob down at Willow? He made some pretty neat pipes. Yes, Still have the most bitchen soapstone pipe. Green soapstone. A late afternoon at Willow. A couple of dollars or a jug of cheap wine. The most perfect pipe you all have ever seen. Watercolor. Brother Frog did his thing in watercolor. One wash and it was gone. A 10$ oil change rag after it was washed out. He was one of the old time regulars, So glad to hear he is alive and doing well. Merry Prankster. I'm heading through Big Sur On Monday. Camping Monday and Tuesday, then camping outside of Santa Barbara for a night, then on to my moms in San Diego. It just so happened that the road will be open, which I'm kind of bummed about. I was hoping to enjoy it with a little less crowd. I need tips. I stayed at Kirk Creek the only other time I went through Big Sur. Any info on what to check in on would be really appreciated. You looking to surf? South swell might be pumping in there. I'll have my stuff with me. The lady doesn't mind hanging on the beach. Drove through the new section on Saturday. Road is nice, wide, smooth; the surrounding hillside looks SKETCH. I give it a few rains, one winter tops, before it all goes again. I got $1.00 that says the new road section stays in place over the winter. Any takers saying opposite? Parts north and south of the new section, well, that is a different bet. I give it a few rains, one winter tops, before it all goes again. So I'll take Doofs bet for a dollar, although I don't know how I'd pay you, paypal maybe. If we have a strong winter it wont last. Hopefully they start spraying the hillside with that green hydroseeding stuff, that might help. it's amazing how much coin they spend to maintain that route. Mellow winter, it holds. Heavy winter, it's gone. Looks like the entire hillside is decomposed granite. Not sure how the seeding will go. While I agree with the sentiment of ' mellow it hold, harsh it goes', that is the uncertainly Caelho face with our mighty $1 bet. Winter is November till end of March? If there is an earthquake during the time period and it goes, I'll pay the $1.00 too. While I agree with the sentiment of ' mellow it holds, harsh it goes', that is the uncertainly Caelho and I face with our mighty $1 bet. You sound like you want in, Rice. Big Sur was one of my favourite parts of the road trip I did along the California coast in June. It's just so beautiful and largely untouched; incredible colours, views for miles, so much beauty. We only got a little way down it, and had to double back. Gonna come back to explore and try to do the stretch. about 600' below. Awesome view!!! Agreed, with same terms as agreed with Rice and Caelho. Now to hope this coming El Nino is a mild one with regards to rainfall in Big Sur. Leaverite is giving Big Sur travel tips?!?!? When I get to your out of the way "lover's leap", are you going to be waiting to greet me with, "boy, you got a pretty mouth, now squeal like a pig "
The odds of you actually finding it are about 1 in a million. Had a great couple nights in Big Sur. Swell was funneling in pretty heavy in a few places. Monday was pretty full but Tues and Wednesday weren't too congested. The road is great. You all hate me like an old raggdyass. But maybe I have a few kernals of knowledge to pass along. Extreme fire conditions down in Big Sur right now. That means no campfires, anywhere. Propane stoves are only allowed in designated USFS campsites. That means you can't even brew up a cup of coffee legally alongside HW1. $1000/person, $5000/group fine for camping alongside Nacamiento Road. The back country is essentially closed to camping with the Campground/propane stove deal. Fvck ups up Plaskett Creek road. USFS comes through and makes Everybody leave. If some of you want a little insight. A whole culture lives there. Outside of the boundries of the normal California/US standards. A moment in time. Kindergarden through HS. for the kids. All taught under the same roof. 175 students. Off The Grid. 2018 and still no power. Diesel generators, ice, still valuable commodities. Gorda. Looking forward to 95 miles of bike riding from Big Sur lodge to Morro Bay tomorrow. I'm going to do that this winter. Let us know how it goes. You guys are fvcking crazy but that sounds pretty damn cool. This bait right here is the crowning jewel of some great low-key Central California erBB banter in a stock thread. yeah no way, with the amount of traffic going on now that the road is open it's nuts. 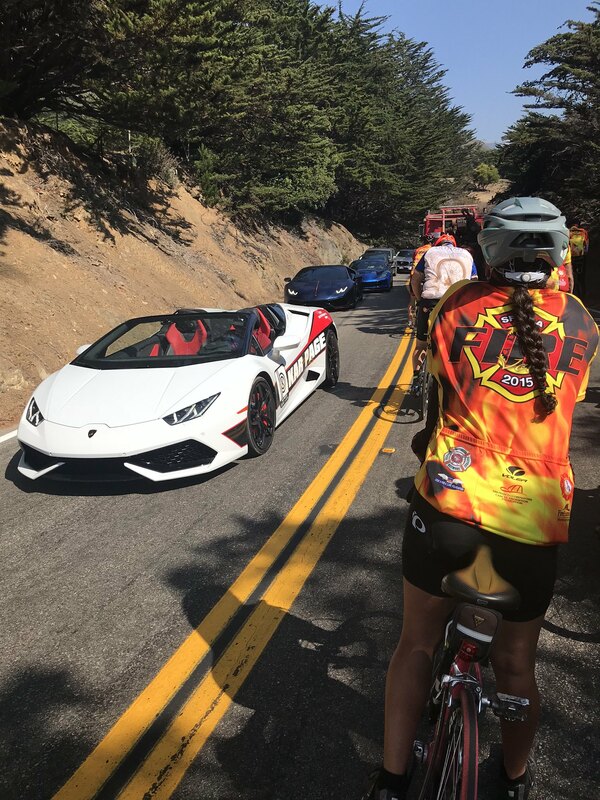 There was a super car rally going on yesterday and today, they were doing donuts in the rock parking lot, porsches ferraris lambos, I probably saw 10 mil go by me on the way to big sur. And the last couple of days I've met people from england, rome, spain and asia. 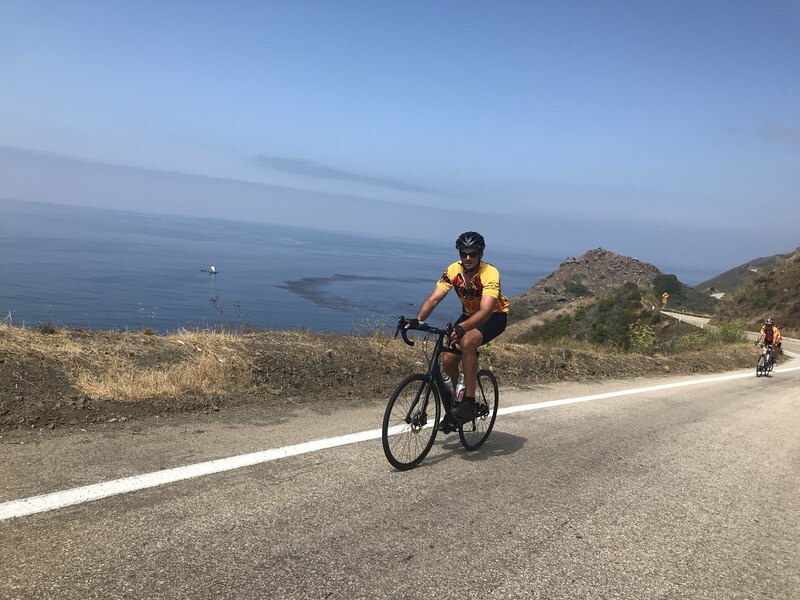 All that going on and riding a bike through big sur, no fvcking way! Last edited by Caelho; 08/23/18 08:03 PM. That's rad! I guess it can be done without being run over. I mean, yeah, you could die, I guess. But tons of people do it, every day. So many people ride from Canada down to Mex. But, yes, I'd like to avoid the summer thing. About 30% of the the traffic right now is tied to Chinese National tourists. These are people who have never driven a car, let alone a american SUV. If they get into a bad wreck, the US insurance company is liable and they dissappear into the background, no recourse against them. You get hosed, they go untouched. Just ran into three Brits riding from Vancouver to Mex. 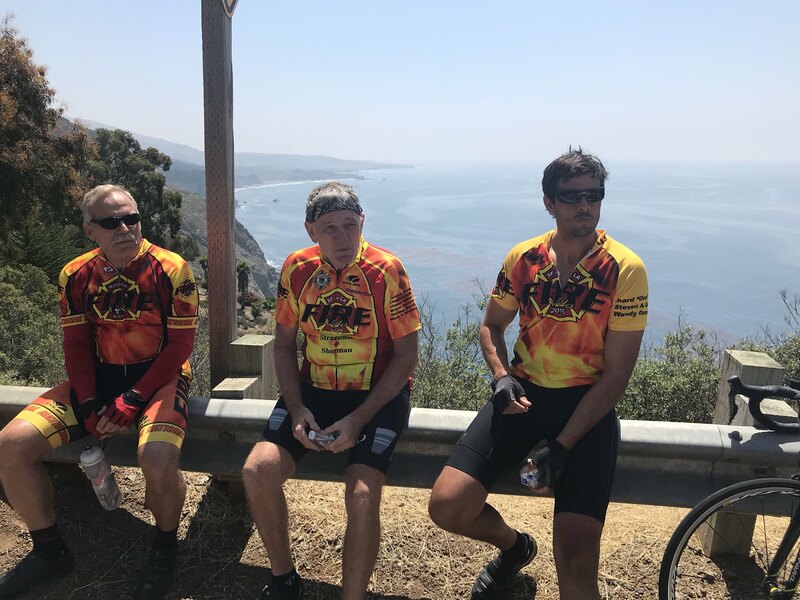 They rode Big Sur Friday and Saturday and said it was EPIC. They were blown away. Said the traffic sucked though. Last week was an epic trip. 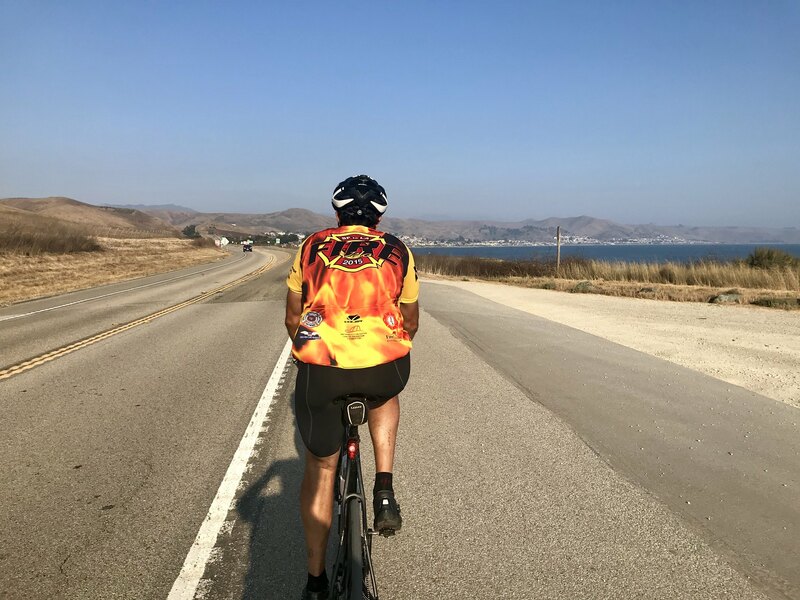 505 miles over 7 days from Sausilito to Santa Monica. We ended last Tuesday's ride at the Big Sur Inn, then left early the next morning to make our way down to Morro Bay. It was a gorgeous day, no wind, small waves, and pretty minimal traffic. It helped that it was a Wednesday and we were on the road before tourists made their way to that stretch. The only huge bummer was the road got shut down due to a semi that couldn't make a tight turn and the trailer started falling into a ravine near Ragged Point. They got him out and but it was a 4 hour delay, and we were on the wrong side to get food at RP. The view was nice at least. Other than that, it was a pretty awesome day. 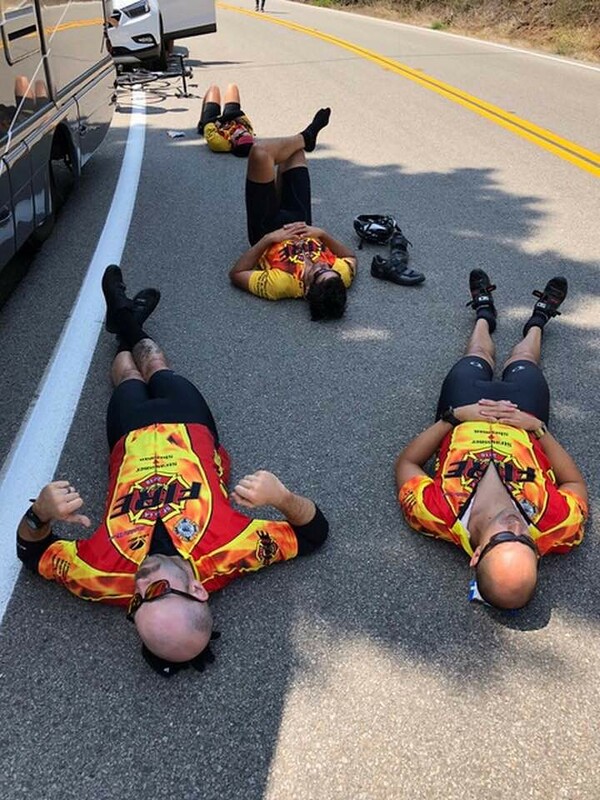 93 miles and 6000 feet of climbing. Already not looking good for Mr Doof, if one only reads the headline. 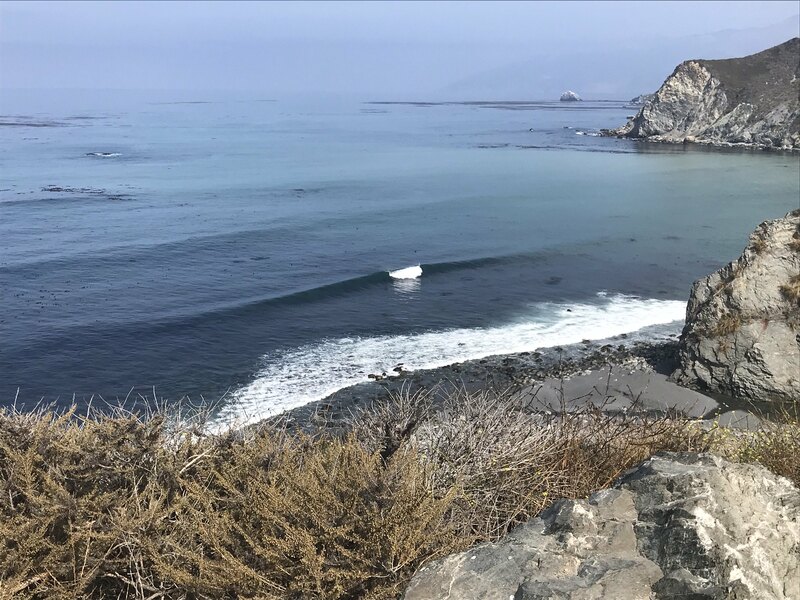 The newly rebuilt section of Big Sur�s famously scenic Highway 1 near the town of Gorda is beginning to crack, an early sign of wear for the road that opened just a month ago. But it�s nothing to be alarmed about, state officials say. Several cracks in the pavement, sometimes a foot or longer, were reported this week across the one-third mile stretch of coastline that was closed to traffic in May 2017, after being washed by the enormous Mud Creek Slide. Officials with the Department of Transportation said Thursday the fractures were limited to the surface of the road, which is perched high above the Pacific Ocean about 10 miles north of the San Luis Obispo-Monterey county line. The cracks weren�t affecting the integrity of the highway, officials said, adding that they aren�t unusual for newly laid pavement in this area. My daughter is camping up there in the back roads this weekend. Road was still intact as of yesterday Pretty much blown out from SLO - SF, fall colors are starting, say several bike campers going south, saw zero going north. Interesting though how they seem to be getting bigger with the increasing volume of traffic. My whole sesh on the bike would have been ruined though after that pic of WC with no one out. Are the mainland Chinese tourists dominating Big Sur yet? Seems like the ultimate place for them to nonstop pose for photos and take selfies...maybe force someone off of a cliff as well. Horshoe Bend is so last year and it's all about Bixby Bridge? I like Chinese tourists because they blunder around all crazy; then when they are thwarting your forward momentum, one of the more aware members of the group notices this and says, "Oh, sorry." Last edited by Autoprax; 09/16/18 08:23 PM. The first storm with some rock slides that closed the road. 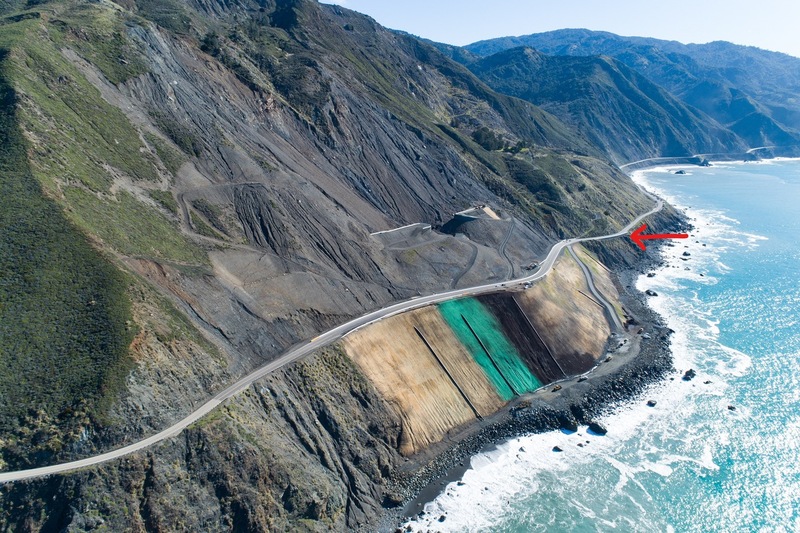 A precursor of things to come, or your typical big sur rock slides? It's a nail bitter for sure! Hwy 1 through Big Sur still open. Not counting chickens before they've been hatched, just providing update. Cruised thru Big Sur after xmas. My first time. Anazing. Closed.....but the road hasn't slipped. Caltrans is shutting down Highway 1 in Big Sur ahead of heavy rains expected to batter the Central Coast this week, the agency announced Monday. The closure, which is at both the Mud Creek and Paul�s Slide areas, goes into effect at noon Monday, Caltrans said in a news release. The agency planned to begin the process of closing the road at 10 a.m.
Caltrans said they hope to reopen the road on the morning of Friday, Jan. 18, once the storm is over, but the road will be closed until further notice. near SLO and TP rice's house. Hw1 closed right now at both the Mud Creek and Paul's slides. Might open tomorrow. Hope so; my daughter and pals are planning to camp up there on Saturday. You realize both Plaskett and Kirk Creek campgrounds are closed due to the Govt. shutdown???? I realize that you are wrong. Kids camped at Plaskett Sat and Kirk Sunday night. Just need to get through March to collect my "millions". But over the next few days, it looks like the next clump of rain is poised to impact Big Sur and points south. Cal-Trans provided a heads-up this morning that they may closed Hwy 1 for precautionary measures as the rain comes ashore tomorrow. Did Rice and I win? Ephemeral. What it is today. Friends, good friends. Friendships made after 30 years. Friends who have chosen to live down there. For Good or Bad, Through Thick and Thin.. They are married to the place. And the place is married to them. Every year for 36 years. It's a Homecoming. Kidding. I'd much rather lose the bet than lose access again. Yeah me too. Plus I just read through Doofs contractor/construction woes, what a bummer. I'm having a bunch of construction going at my house right now and feel very fortunate that it's all going smoothly, except for the rain delaying things. So I'd rather he wins, we'd all win actually, and send him a little extra so he can numb the pain a little with alcohol or what not. Though that looks like just a 'buckle" and not a break, I concede the bet. Ok, you winners, PM me on how you want to collect your $1.00. I am fond of putting a bill in an envelope and mailing it over other means...don't know what the Paypal minimum is. Well, my bet was a little vague....."I got $1.00 that says the new road section stays in place over the winter. Any takers saying opposite?" I never said anything about buckles or subsidence or anything, but I think the road being closed with those images showing some less than pristine road surfaces (have we determined they are the new road? ), and us not at the end of March, means I lose. Sometimes better to toss yourself on the sword than try to wiggle out from under the bet by being super-duper-extra-looper about it all. I say we wait and see until the end of March. I think we all assumed the bet was for another slide that wipes out a portion of the road, not some cracks. It seems like they'll be opening it soon. 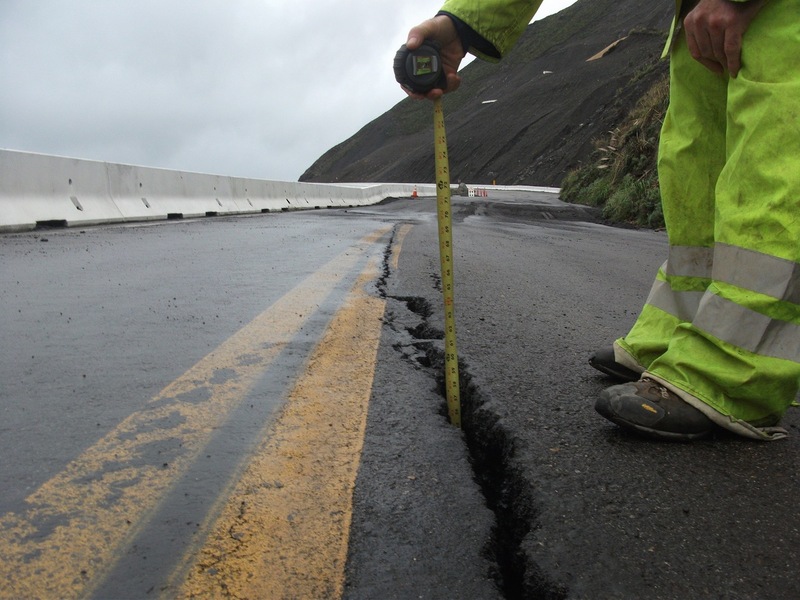 MONTEREY COUNTY �Highway 1 at Paul�s Slide (PM MON 21.6) will re-open by 5 pm today, Thursday, March 7. Hwy. 1 will continue to be closed at Mud Creek (PM 8.9) until further notice. Businesses along the Big Sur Coast on Hwy. 1 remain open and are accessible via Hwys. 101, 68 and 46. Caltrans� Geotech, Maintenance and Construction units are on call � Assessments and cleaning continues at both sites. Crews are currently clearing perched boulders and catchment areas and will have Paul�s Slide open by 5PM today, Thursday, March 7. The movement at the southern conform at Mud Creek has slowed down; paving is planned for the displaced area tomorrow to make it traversable for public traffic. We tentatively plan to reopen Mud Creek by 5 PM tomorrow, Friday, March 8�dependent on: site conditions, continued displacement, and progress. When Mud Creek re-opens, our maintenance crews will monitor this location over the weekend and notify us if the movement accelerates or site conditions change. Assessments of the roadway conditions and progress will continue to take place in the morning tomorrow, Friday, March 8. Caltrans� goal is to open the roadway as quickly and safely as possible and our staff remains on-call 24/7. (PLEASE REFER TO PICTURES OF BOTH SLIDE AREAS, AERIAL OF SOUTHERN APPROACH TO MUD CREEK AND VIDEO OF MUD CREEK BOULDER COMING DOWN, ATTACHED). The gates on either side of Paul�s Slide will re-open at 5 pm today, Thursday, March 7. The gates on either side of Mud Creek will remain closed until further notice. These gates will not be manned when the highway is closed and there will be no access to anyone, including Emergency Services or Caltrans employees until a proper assessment can be made and any necessary cleanup has been completed. NOTE: This advisory applies only to the Mud Creek and Paul�s Slide areas with each closure being treated separately. Please stay tuned for additional information when the roadway opens again. An update will be provided by noontime tomorrow, Friday, March 8th. So here is, time to resolve this bet. Did the new road section stay in place over the winder? Hwy 1 was closed for a while and there was some slippage, but was that slippage on the new road section or not? I drove through there the day after it re-opened. It was only closed for a couple of days. I believe there was some slippage on the new section; however, the slippage was so minor they just repaved it and let people through. Not sure how that relates to the bet, but that was what I observed. Hey Doof send me a pm with your details for paypal, or let me if there's some other way you'd like me to pay. You definitively won, I think there was a couple of times there was some issues I thought might be the start of a major slide but it held. For our bet, there were four betters; Me saying the new part wouldn't go, and three (Caelho, Rice, and Leaverite) saying it would. Crux of the bet and actual words were: I got $1.00 that says the new road section stays in place over the winter. Any takers saying opposite? As of now, Rice and Caelho think I won, and we need to have Leaverite's say in the matter. I am hoping for consensus agreement on the matter. One thing to remember though is the original mud creek slide happened weeks after it stopped raining. Took that long for the groundwater buildup to do its work. Paul's slide now though, just south of Lucia before the tunnel. That whole section is on borrowed time. Paypal info sent to all. Thank-you for following through with the bet. You are now $1.00 richer. Fall of 2017 was so beautiful down there. Nacimeinto only for access. Locals and just the fed campsites. Sitting in camp at night it was quiet. Dead still. No traffic. Like going back 20 years in time. No traffic on the 1. Got woke up early by the Jake Brakes on the semi dump trucks coming down Naci. The true locals loved it also. They are survivors. For the long haul. Saw all of the old boys. Heard story. We have been going for 44 years. Since High School in 1976.